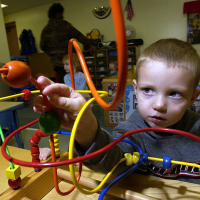 Find quality day care centers in PA. Search for local daycare centers in Pennsylvania. 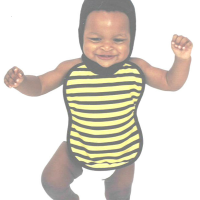 Put Your Child in Nurturing Hands With Busy Bees! The Busy Bees Learning Center is dedicated to nurturing and educating children from six months to five years old. Founded by owner and operator Denise Weiss (a firm believer Montessori style practices), Busy Bees believes that there is no better way to promote a child's development than to sustain a loving atmosphere in which they can learn and grow. Special features of the center include video cameras that allow parents to pay “virutal visits,” their multicultural focus on Spanish, and up to date information on what’s going on in the classroom. You can't put your child in better hands than Busy Bees - this is one of the best day care centers in PA! 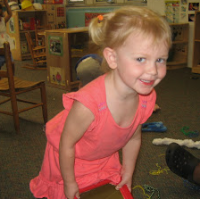 Your Kids Will Grow and Learn at KinderCare! KinderCare Learning Centers focus on helping your child to learn and grow through interactions with their peers, and caring teachers. Your child's health, safety, and development are their number one priorities; you can rest assured that the charges in their care are being introduced to educational procedures that will help them when thy reach school, eating wholesome, healthy foods, playing well and sharing with other kids, and, best of all, having lots of fun. This is certainly one of the best day care centers in Pennsylvania – their focus on guidance, education, and enjoyment is sincere, and their staff works so hard because of a love for nurturing children. Let ABCs Nurture Your Kids Through Education! 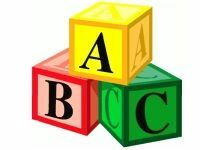 ABCs For Children has won numerous accolades for their commitment to the best in child care and education, such as their inclusion as a Keystone 4 Star program, and licensing by the United States Departments of Education and Public Welfare. Their passion for children has proved fundamental to their business since their founding in 1982, and since then they have been providing a loving, nurturing atmosphere for kids to learn and grow. If you've been hunting for a daycare for your child (aged 6 weeks to 12 years old) then you need to check out one of the best day cares in Pennsylvania. The Beacon Center Cares About Your Child's Growth and Development! 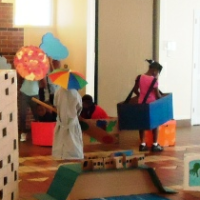 Beacon Center for children wants to foster your child's development through education and imagination; their goal is to guide your child, through learning and peer interaction, into acquiring the skills necessary for a happy life, both now and in the future. Beacon Center is run all year by a staff that cares for your child's safety, health, and well-being - they want the center to be more like being dropped off with family, rather than strangers; if they didn't love kids, they'd pick another business! If you need to find a day care in Philly, consider the center that's going to nurture and care for your child - The Beacon Center. One of the Best Daycare Centers for Kids in PA! 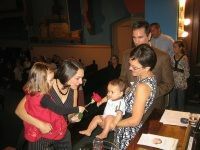 The Right Steps of Rittenhouse Square was founded so that John and Regina Reydler could bring their love of helping to children to learn, grow, and develop to families beyond their own. They strive, at all times, to create the friendly and safe environment that kids need to acquire even the most basic skills, like communicating with their peers, and have fun. Right Steps believes that the early experiences of a child's life can be the most important, and they're dedicated to shaping those experience into the foundation of a happy and successful life. Because Your Kids Deserve to be Treated Like Angels. You'll know your kids will be treated good at Les Petits Cherubs, one of the finest day care centers Philadelphia has to offer. At the daycare center active learning in emphasized, ensuring that your children will be given the finest education and develop in a way that is beneficial to him/her. The classrooms at Les Petits Cherubs are all amazing, filled with the finest and safest equipment for your children to play with. 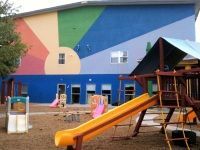 With excellent facilities and extremely capable teachers, this is one day care center in Philadelphia you'll want to check out. Fun and Learning at its finest. At Lipton Corporate Child Care Center you can be rest assured that your child is being left at one of the best day care centers in Philadelphia. With amazing teachers and a colorful decour, kids are entertained throughout the day, leaving you to never worry about their well-being. As one of the best day care centers Philadelphia has to offer, Lipton Corporate Child Care Center is a great place to bring your children. There's also an incredible tree house, providing a great and safe way for your child to climb around and be physical. A Great Place to Take Care of Your Children. As one of the best day care centers Philadelphia has, Old Pine Community Center has been taking care of children for years now. With a full staff and fresh equipment at their disposal, there's no doubt that your child will have fun each and every day at the day care center. Old Pine Community Center is a premier day care center in Philadelphia, making it an excellent choice for you to trust your children with. Your kids are important and it's essential that you leave them in the care of someone as good as Old Pine Community Center. 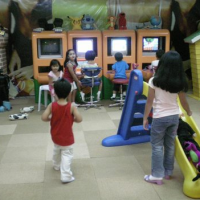 A Fun and Caring Environment for your Child. Busy Bees Learning Center is an excellent choice for anyone looking for day care centers in Philadelphia. With an attentive and caring staff that guides your children at all times, you can be sure that your child will be having fun at all times. One of the innovative features of the Busy Bees learning center is that they have installed a webcam, allowing any curious parents to check up on their kids whenever they feel the need. This is something that you will not find in many of the day care centers Philadelphia has to offer. A Stimulating and Loving Environment. Located near the University of Pennsylvania, the Parents Infant Center is one of the great day care centers Philadelphia has available. With tons of space and toys for your children to play with, every kid is guaranteed to be smiling by the day's end. Day care centers in Philadelphia don't get much better than this. Featuring a variety of programs and play groups, your children will be taken care of all day in an educational manner that is great for them. Sign your child up for a spot at Parents Infant Center today.